International companies with many sales teams face incredible challenges while trying to earn and retain each customer’s business. As your company’s sales teams grow geographically, the risk for internal overlaps and local competition increase. Are we focusing on the right geographic areas? Are we utilizing the right local resources? Are we meeting with the right customers? Allocating resources across geographical areas. Driving deep collaboration between multiple sales teams. Focusing activities in areas with many current and future customers. We built the RealZips app for powerful territory management around the world. The RealZips app adds geographic metadata, powered by zip codes, postal codes, partial postal codes, plus market data. 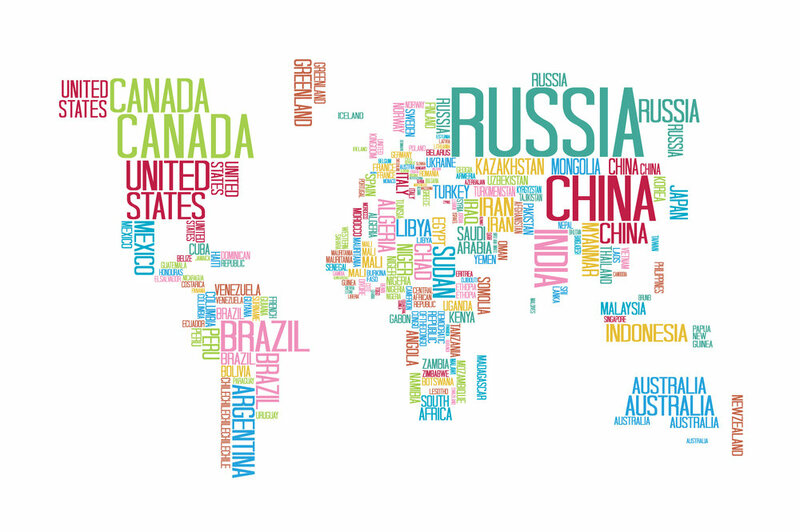 Your different markets can have varying depths of geographic data to match your marketing and sales efforts. With the geographic structure in place, overlapping territories and complex team structures can effectively be assigned across geographic areas. Future territories can be set up to be deployed at a later date. Channel partner territories can be managed alongside with own channels. Lead assignment and inside sales teams can instantly be assigned to support growth as needed. 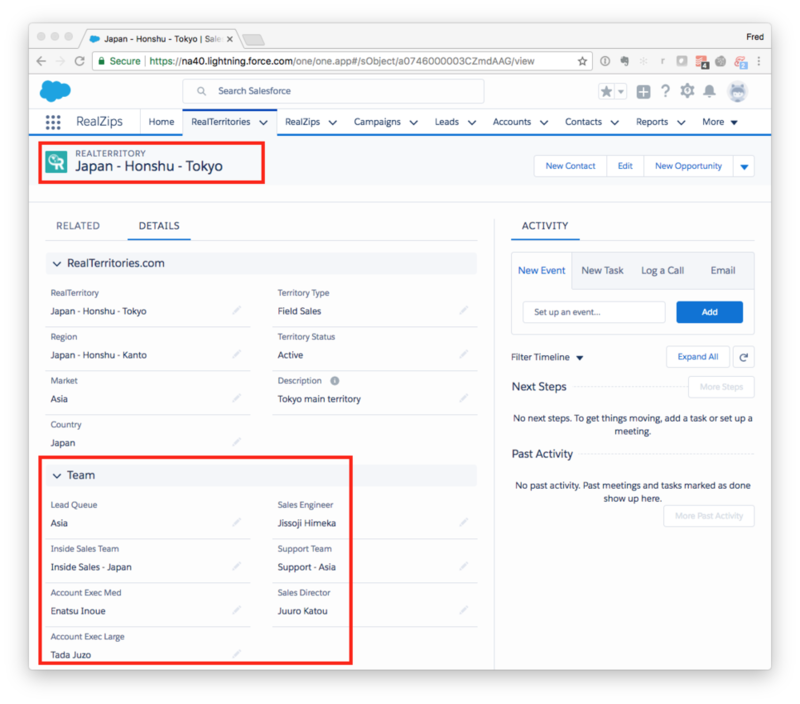 Existing records in your Salesforce are automatically assigned to a territory, making it possible to assign ownership and allocating resources in real time. When territories change and team members are reassigned, ownership of leads, accounts, and opportunities can be made in a matter of minutes. Each team member can immediately reference the team covering the geographic area making instant collaboration around each customer possible. With a powerful geographic geographic structure and territory management solution in Salesforce, companies can now measure global sales across marketing campaigns, lead generation, opportunity pipeline, and revenue growth. The RealZips app for Salesforce provides a global geographic structure for your team's customer data. The geographic data makes it possible to plan, deploy, and manage sales territory success. RealZips is 100% native in your Salesforce. Existing territory management (such as Enterprise Territory Management) can be leveraged in RealZips, along with your existing lead assignment rules. Business processes can be vastly improved. The RealZips app is used by organizations to drive lead assignment, team collaboration, sales channel management, customer ownership alignment, sales quota, sales analytics, and pinpoint future growth opportunities. The RealZips app is proven to deliver a rapid return on investment.